After we married in 1992, our honeymoon was the drive to Bozeman, where we had bought a house and I had leased an office. Skiing, running, tennis, hiking, hockey and speedskating all followed quickly thereafter. Imagine the shock of my New York City partners, in an investment management business, to suddenly have a partner based in Montana – relying on dial up email and a thermal fax machine to stay connected to the markets, clients and companies back in the hub of New York City finance. In 2002, after 16+ years of money management, I had the good fortune to walk away and become a full time Mom to my two young boys. In 2009 I started back to work, looking to use my expertise in finance to leverage my way into ownership in a business. When long time neighbor and friend, Scott Dehlendorf, needed to replace his part time finance accountant I became involved in his various real estate projects. 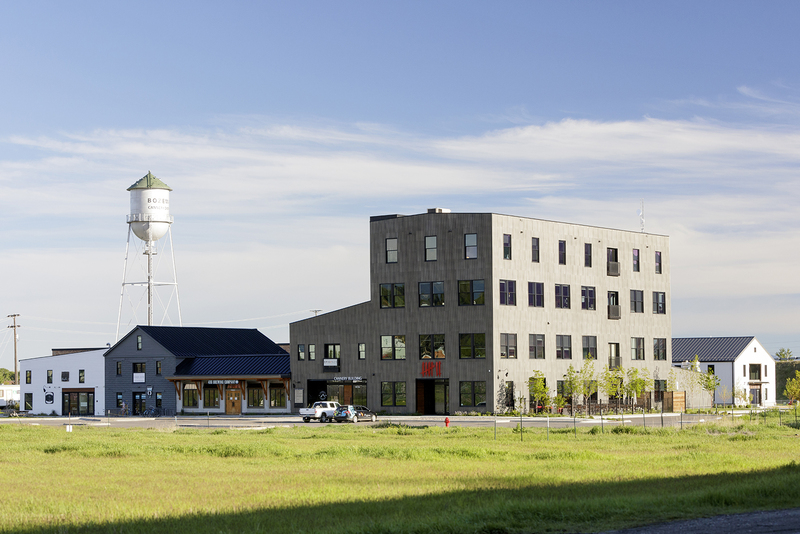 When the next phase of the Cannery project began coming together, I jumped at the opportunity to invest in a redevelopment project that so reflects the history of Bozeman and its agrarian roots. Becoming a full member of the management team has allowed me to be more than just a passive investor in the project and see the vision succeed for the benefit of the tenants, community and investor group.